Water. Tea. Sugar. Culture. Time. 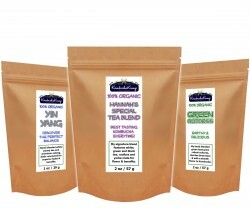 The ingredients for Kombucha reflect the simple nature of the beverage and the process. Our society makes these ingredients available in abundance, then perverts or pollutes them for profit, at the expense of the confused or even sickened consumer. Tea may be decaffeinated with chemicals, table sugar may be laced with toxins and tap water may be carrying conspiracy, but education will always set us free. By learning which choices to make, we are empowered. So don’t be afraid to stand under that cold shower of truth – go on, jump right in – the water, as it turns out, is just fine. Save Water By Showering Together! Summer has finally hit around here and we’ve sure had some hot days. Though I am rightfully upset about the disrespect our society shows for our global water supply, I am sincerely grateful and, when compared with great swaths of the world’s population, incredibly lucky to live where water is readily available not only for drinking but also for washing my body, the dishes and even my dog. 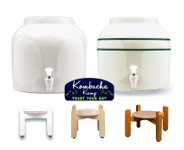 Many types of water are suitable for brewing Kombucha but the most important consideration is the removal of chlorine and other contaminants that may harm the culture. Water is a chemical substance with the formula H2O. Its molecule contains one oxygen and two hydrogen atoms connected by covalent bonds. Water covers 70.9% of the Earth’s surface, and is vital for all known forms of life. Oceans hold 97% of surface water, glaciers and polar ice caps 2.4%, and other land surface water such as rivers, lakes and ponds 0.6%. Clean drinking water is essential to humans and other lifeforms. Access to safe drinking water has improved steadily and substantially over the last decades in almost every part of the world. There is a clear correlation between access to safe water and GDP per capita. However, some observers have estimated that by 2025 more than half of the world population will be facing water-based vulnerability. 1% of the water supply on earth can be used as drinking water. Approximately 70% of fresh water is consumed by agriculture. The human body is comprised of 66% water. It is in every organ and assists physical functions. It would be folly to deny that the drinking water supply is becoming increasingly contaminated via problems both environmental and systemic. Over-prescribed pharmaceutical drugs and other pollutants have been flooding into both municipal and groundwater supplies. Just as dangerous is the aging infrastructure of many city tap water facilities. Add fracking, pesticides and oil spills to the mix – that’s a whole cocktail of yuck potentially ending up in your body and wreaking havoc on your internal ecosystem. And we haven’t even touched on the chemicals they put in on purpose such as chlorine and fluoride, which attract plenty of controversy on their own. Fear of tainted water supplies has driven some to bottled water, but as has long been known, some bottled waters are just municipal tap water with a fancy label while others are imported from foreign countries, leaving an enormous carbon footprint. To cut costs and reduce waste, more and more families are turning to home filtration systems, reverse osmosis or distillation as a safer alternative to tap water. BONUS: Want to know how the water supply in your city measures up? Take a look at the Environmental Working Group’s water survey. Chlorine is used extensively in municipal drinking supplies to kill contaminants such as harmful pathogens. In developing countries, the addition of chlorine has reduced the number of infant deaths related to waterbourne illnesses. 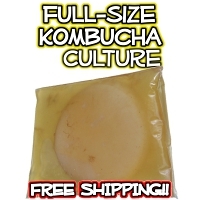 However, this efficacy at killing bacteria means that it isn’t suitable to use for brewing Kombucha because it could harm the healthy bacteria that are part of the culture. When chlorine is added to the drinking water supply, it combines with other natural compounds to form Trihalomethanes (chlorination byproducts), or THMs. THMs are considered carcinogenic and long term exposure “results in adverse effects on the central nervous system, liver, kidneys and heart.” Alternative methods to chlorine for treating drinking water include ultraviolet light and ozone, have been used extensively in Europe with great success. Some municipalities in the US have implemented these systems as well but for the most part, it is less expensive to use chlorine. The history of fluoridation in the United States does not inspire confidence. 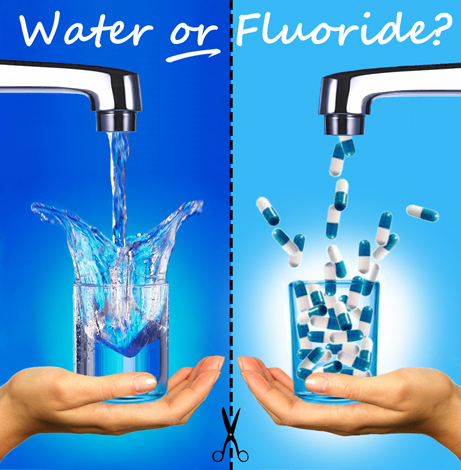 The fact that the type of fluoride used in most water supplies in the United States is Hexafluorosilicic acid, an otherwise toxic and corrosive by-product of the fertilizer and aluminum manufacturing industries (i.e. weapons manufacturing), does not inspire confidence. Reports that 98% of European water sources are NOT fluoridated, and that there is no correlation between fluoridation and caries (cavities) in those countries, does not inspire confidence. The fact that authorities cannot control the dosage of fluoride each person ingests does not inspire confidence. I could go on, but you get the idea. Fluoride toxicity has been linked to several diseases such as Alzheimer’s and Down’s Syndrome. More recent research indicates that topical application of fluoride (via toothpaste, mouthwash or at the dentist’s office) is more effective than ingesting. Of course, daily, thorough oral hygiene practice produces the best results, but increased calcium and magnesium intake also play a significant role in preventing cavities. For my part, I oppose fluoridation because a) the science is, at best, unsettled and, at worst, points to completely unnecessary toxic poisoning at the hands of the MIC, and b) the concept of applying medical treatment through the water supply without the consent of those being treated is difficult to justify. SOURCE: Pizzo G, et al. (2007). Community water fluoridation and caries prevention: a critical review. Clinical Oral Investigations 11(3):189-93. BONUS: Here are some ways to remove fluoride from your drinking water. Note: While tea does contain fluoride, in that case it is a naturally occurring substance and, approximate levels are known to be low, as opposed to the fluoridation of the water and food supply which results in unknown quantities ingested every single day. Filtering water is one of the most common ways households use to remove chlorine and other particles that may be in the water supply. Most countertop and pitcher water filters use activated charcoal, a very porous material that absorbs chlorine and other gasses/contaminants as they pass through. The result is usually a much better tasting, even better looking water. Still, with most pitchers filters, only 30%-60% of the contaminants have likely been removed. By contrast, undersink systems will remove up to 99% of chlorine. BONUS: Read about the history of water filters from 2000 BC to modern times. 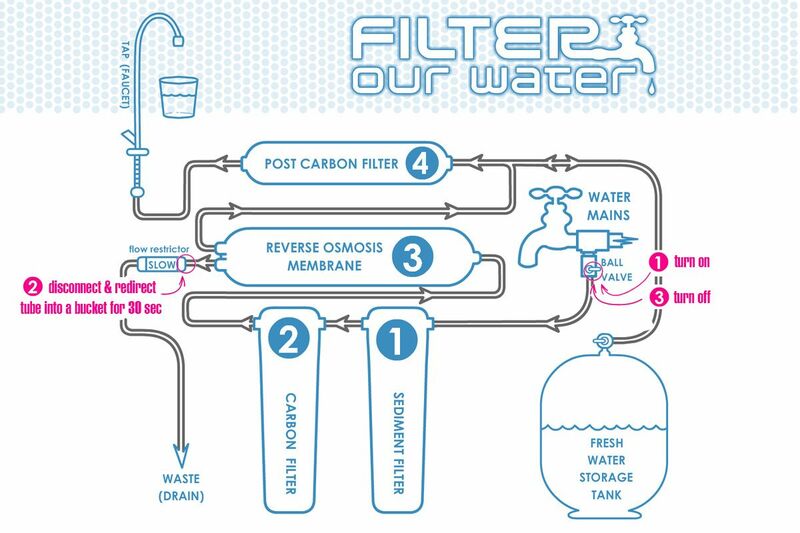 Another common type of filtering system is Reverse Osmosis. This works by forcing the water through a semi-permeable membrane. The pure water is pushed through the filter whereas the waste water goes down the drain. Finally, it passes through a charcoal filter before coming out the tap. The big disadvantage to RO is that a lot of water is wasted in this process. It takes 2 gallons of water to make 1 gallon of RO water. Distillation is a process of boiling water so that it turns into steam, then recapturing that steam, allowing it to condense as it cools. The steam returns to a liquid state free of all minerals. The downside to distillation is the lack of these minerals. Some counteract those effects by adding salt to remineralize the water. BONUS: Learn more about the positive and negatives of distilled water. 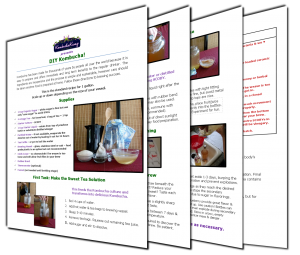 Filtering or boiling tap water is imperative for making Kombucha. A Brita type pitcher, named for the inventor’s daughter, will do the trick. I always suggest that you use the water you have on hand. The whole point of making Kombucha at home is to save money, so using the water that you already drink won’t be an additional expense. If you do not have a filter, here are a few ways you can dechlorinate your water. 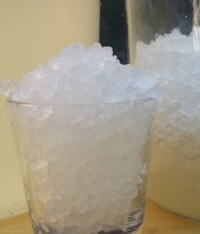 Evaporation – Chlorine is a gas. As such, given enough time, it will evaporate. Leave water out for 24 hours to allow the chlorine to evaporate. Boiling – Boil your water for 10 minutes to remove the chlorine. Those who live outside of major cities may be using well water or spring water. Oftentimes this type of water may be used without filtering. If you aren’t sure what is in your water, then check with the local water works for a free water quality report. 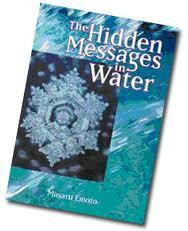 If you saw “What the Bleep” a few years back then you may already be familiar with Masaru Emoto’s work. He is a doctor of alternative medicine who purports that frozen water crystals change shape based up the intention that is directed at them. For example, crystals of water that were exposed to heavy metal music were supposed to be less aesthetically pleasing than those exposed to thoughts of gratitude or love. Being a hippy at heart, this sounds awesome! Knowing that my thoughts can change the shape of water crystals is almost as thrilling as rainbows and unicorns! However, Dr Emoto’s lack of forthrightness in sharing his scientific process has led to much skepticism. One double blind study did bolster his case, but subsequent trials haven’t been as successful. Well, don’t let silly old science get in the way of the imagination. 😛 Adding positive words, beautiful images and playing music for your cultures are all ways to imbue more good vibrations into your booch. Not only is water important for making Kombucha, but it is also important to drink plenty of it with your Kombucha. 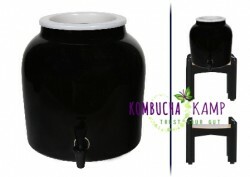 Because booch is a natural detoxifyer, you need water to flush the toxins that it releases from the body. If not enough water is consumed, the toxins may be reabsorbed into the body and then that’s defeated the whole purpose. 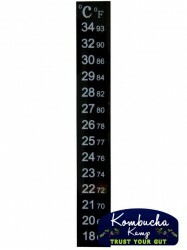 I start my day with 2-4 ounces of KT in a tall glass of water. Not only do I get the health benefits of Kombucha Tea but I also get water I need to rehydrate. 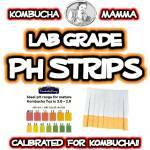 Plus the booch tastes a bit like lemon in your water – this is also an excellent way to get some Kombucha into a loved one who is resistant to the taste. Juice is another option but also adds extra sugar. While it is tempting to down tall glasses of KT, it is best to take small, frequent doses to ensure maximum benefit. Too much Kombucha at once may be more difficult for the body to process and depending on each person’s biochemistry, could result in a Herxheimer reaction. If you experience any discomfort while drinking Kombucha, the first thing to do is to increase water consumption while simultaneously reducing the amount of KT. What choice do you make for water at home? Filter? Reverse Osmosis? 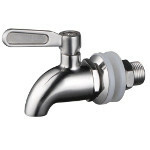 Regular Tap? 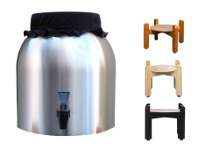 Is it safe to use water from a Berkey filter system to brew Kombucha? Boiling water with chlorine creates reactive oxygen species (ROS) which causes aging and cancer among other things. If you must boil water you should do it for at least 15 minutes. If I have to use municipal tap water, I put a little vitamin C in it (1 tsp per 200 litre will eliminate the chlorine) and then use charcoal. Hi. So would you suggest I boil my tap water for 10 minutes or go buy a gallon of spring water? It will take more time for the boiled water to cool down and it costs money and a trip to the store to buy the spring water – whichever is easier for you! I’m on well water with a carbon filter, and other than a bit of iron it tests clean. After 5 years of brewing kombucha, I just had my first mold event. 🙁 Luckily I had a SCOBY hotel, starting over. Can I use bottled water if I do not have a filtration system at the moment? yes! make sure it isn’t simply bottled tap water – use spring water for the best flavor and results. I’ve been drinking RO water for years, is it ok to use for my kombucha. Some sites don’trecommend it because it lacks minerals, but it’s what I have on hand in my water cooler. If you find your KT isn’t as lively as you like, you can always add a dash of Himalayan pink salt or Celtic sea salt to the water before brewing. Overall, the culture derives a lot of nutrients from the tea & sugar. What about bottled Drinking Water purified by reverse osmosis and ozonated? Our city water has been substituted with chloramines instead of chlorine, now, and does have a “reduced amount” fluoride. Do you suppose it is fine to use well water? We are in a sort of rural area and we are on a well. No crops nearby. I figure the water is naturally filtered through the soil even if their was some issue. Thoughts? Many people use well water with no problem. The main concern is chlorine. Well water may contain higher mineral content which may affect the flavor of your brew. Let us know how it turns out! Our municipal water is treated with Chloramine. What do you suggest? Chloramine is difficult to remove unless you have a special filter. Use spring water or if that is too expensive, know that the benefit of the Kombucha will outweigh the exposure to the chloramine. Is it ok to use distilled water? Yes – some folks remineralize by adding a pinch of celtic or himalayan salt. I just bought one of your kits and can’t wait to get started! My water supply concerns me, though. Our local water supply is both chlorinated and fluoridated. My water filter removes chlorine but unfortunately not fluoride. I’m not wild about it and plan to look into a different system to address the matter… but, in the meantime, will the fluoride affect my kombucha brew? We brew our Kombucha with a filtered public water supply that presumably has fluoride without ill effect. The most important consideration is that the water be chlorine free so that we do not harm the healthy bacteria in our Kombucha. I have a whole-house filtration system. Our well water passes thru 3 different tanks and a salt water softener tank. Obviously, we have some rough well water – it’s very high in iron. So, I tried making kombucha a while back with a dehydrated scoby and it never “came back to life”. I’m wondering if it’s the water. Any thoughts? I’m waiting for my kit to arrive. 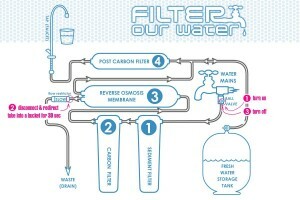 In my wine making I use a Pure Earth Technologies 50 gal./day reverse osmosis filter for clean water. The waste water does not go down the drain but to the rain barrels for the garden. yes spring water only please! I use a Chanson Miracle Max water ionizer. The water tastes insanely good, and I can down more than a gallon per day! Since I live in the driest climate in North America, that’s REALLY important. I set my water between 4 & 5 pH when I brew my kombucha; this acidity level seems to agree with it most (and helps to mitigate mold – I’ve never had a problem using this setting). If a Brita filter will work, will a PUR filter work, too? I have recently researched that you can dechlorinate your water by adding a small pinch of ascorbic acid. I have begun to do this also with my Kombucha batches ALSO meaning I boil my water as well just to be sure it has all gone ..
As the Kobucha seems to prefer to be acidic I have assumed this tiny amt. of ascorbic acid is fine sitting in the water.. It eventually dissolves.. Please advise if there is proof that Ascorbic Acid in your Kombucha water is not good for the Scoby. I have begun doing this as well as boiling because I have been one of those lucky people to have always lived with well water and now i do not as I have had to move to a community closer to health facilities. I am fortunate that it is a much smaller community than living in a city and thus the chlorination amt. is greatly reduced per population or so I have been told.. 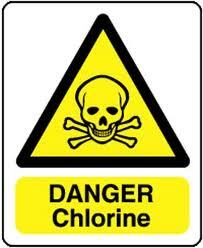 I am shocked at how the young people today feel that chlorine is OK . It is NOT !!!! 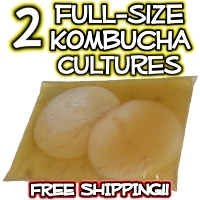 Thanks for the tip – we hadn’t heard that about ascorbic acid – if its not negatively impacting the culture (ie poor SCOBY growth, lack of fermentation, mold, etc) then a pinch should be perfectly fine to use. Of course, if your cultures start to become funky or behave differently then you may want to discontinue using it.